Disney fared extremely well this morning when the Academy Awards nominations were announced. Not only did Brave, Frankenweenie and Wreck-It Ralph get their expected Best Animated Feature nominations, but Lincoln (which was distributed by Touchstone) became this year's Oscar juggernaut, leading the way with 12 nominations, including Best Picture, Director (Steven Spielberg) and Actor (Daniel Day-Lewis). 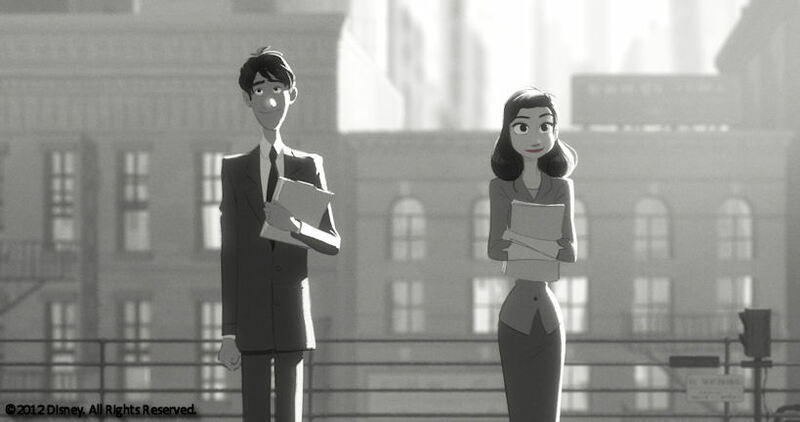 My favorite Disney nom, though, was for Paperman, John Kahrs' whimsical and sweet story nominated for Best Animated Short Film. 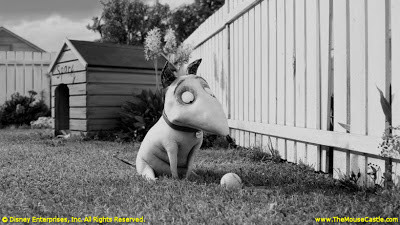 It combines a gentle romance with a lovely blend of black and white CG and hand-drawn animation. It was my favorite Disney film of 2012 and the one I'll be rooting for the most on Oscar night (February 24).